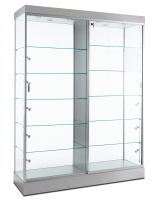 This Chrome Trophy Case For Commercial Use Is Sturdy Enough For Constant Use, Yet Still Remains Stylish! 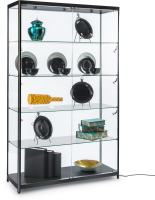 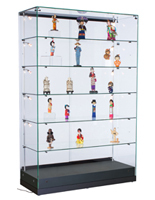 These Display Cabinets Are Some of Our Most Popular Models! 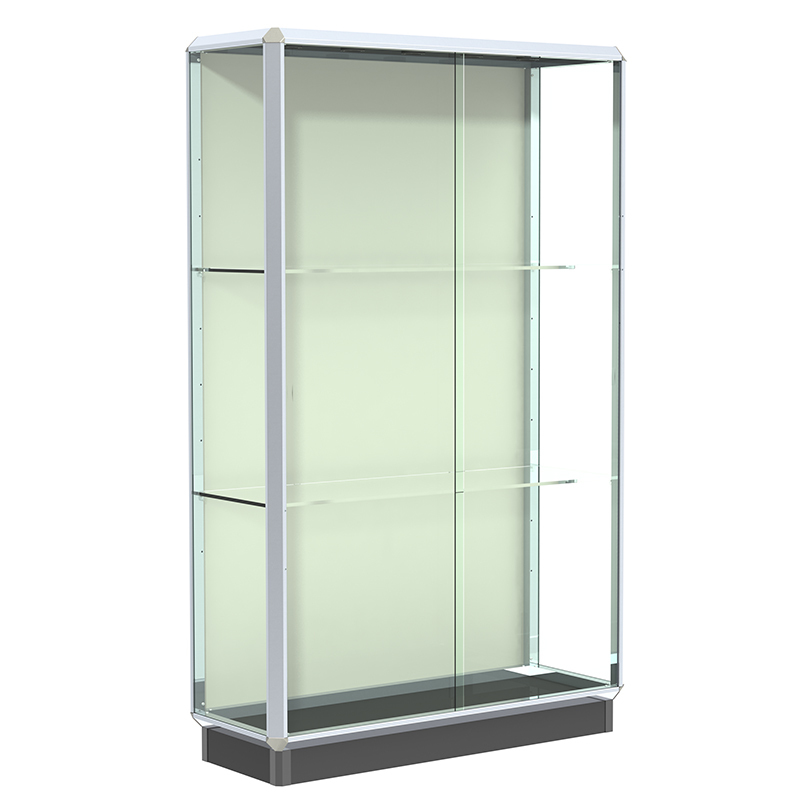 This new style trophy case can also be used as a display cabinet, an exhibit case, an award display case, or a lobby display. 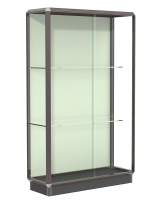 The multi-faceted aluminum framing and hexagon-shaped corners of these showcases link together to form a distinctive contemporary design. 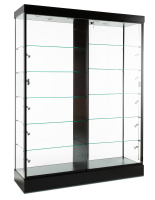 This versatile trophy case for schools features a chrome frame, tempered glass, a built-in lock, two full-length adjustable shelves, steel shelving hardware, and a hook and loop hook and loop compatible mid-white fabric back to give the display cabinet a richer look. 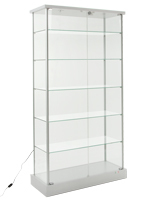 These showcases measure 48"w x 78"h x 18" deep, weigh 290 pounds, and ships to their destinations by truck. 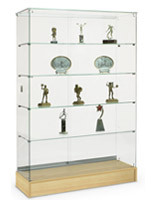 In addition to our trophy case series we offer many other display products at our main shopping page Trophycasesnow.com, where you'll find many acrylic memorabilia displays, wall-mounted cabinets, specialty exhibits, and more!